While the ADA has ruled that the level of mercury in amalgam fillings is safe, our office prefers to use a safe, durable alternative known as mercury-free fillings (or tooth-colored fillings). Amalgam fillings stand out against our teeth because they’re made of metal. As a result, patients with amalgams may feel more self-conscious about smiling, laughing, or speaking. But mercury-free fillings are shaded to match your natural tooth color, for results that blend in and don’t call attention to the areas where you received treatment. Metal-free fillings come with a number of benefits over their predecessor. Not only are they more natural-looking, but they're also just as effective as amalgams are, and placing them requires fewer changes to your existing smile. Would you like to learn more about preserving your smile with mercury-free fillings? Contact our office today. We are happy to offer mercury-free fillings to our patients Brookline, Newton and all of Norfolk County. Made of metals, an amalgam stands out against naturally white teeth. When a person smiles, laughs, or speaks, amalgam fillings may show. Tooth-colored fillings matched to a patient’s natural tooth shade make the fillings blend seamlessly in a white, bright smile. 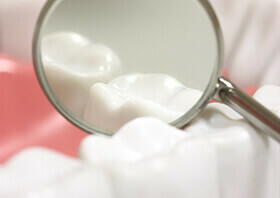 Composite fillings provide long-term bacterial invasion protection, too. Once bonded, a composite filling won't wear down or change shape, despite the incredible forces of biting and chewing. Bacteria and food particles cannot enter the tooth. However, silver amalgams on biting surfaces can change shape with biting and chewing impact. Tiny cracks in the material or between the filling and natural tooth structure can allow bacterial re-invasion, creating a bigger decay problem than you had at first. Dental amalgams have been used in fillings for 100 years, but times change, and as dental medicine evolves, patients have more choices. These days, fillings made with metals, composites, porcelain, resin, or glass are common. As with all medical and dental procedures, you, as the patient, should stay informed about what’s available so that you can determine the best option for your unique case. If you have amalgam fillings but think composites are a better choice, Dr. Sasson can replace the amalgams. Your smile is part of your personality and your image. We will partner with you to maintain your oral health and your natural-looking smile. While amalgam fillings are an effective solution for treating decay, they’re not as suited to protecting teeth from bacterial invasion as mercury-free fillings are. Mercury-free fillings form a special bond with the tooth, actively preventing bacteria from entering and causing more serious trouble. Mercury-free fillings can also strengthen the tooth in question whereas an amalgam filling will cause the tooth to weaken with time. Dr. Sasson’s decision to use mercury-free fillings reflects his commitment to conservation. Dentists who practice conservative dentistry are concerned with preserving as much of the patient’s natural tooth structure as possible. Mercury-free fillings allow us to do that. Placing amalgams, on the other hand, requires us to remove more of your tooth, further encouraging it to weaken.